With the Murderdolls’ latest record ‘Women And Children Last‘ having been released at the tail-end of last month, we thought that it would be a good time to wake Wednesday 13 up at the crack of 1pm at home in the States for an in-depth chat to find out how the new record has allowed the project to evolve and progress in 2010. S] What inspired the dark and haunting opening minute of ‘The World According to Revenge’? W13] Well, that’s a good question. We had the intro in our heads for a long time but it never had any words over it. One day, I woke up and had this idea to put down on record. It was actually one of the only songs which had been recorded in daylight. I eventually came up with the lyrics for it at two in the afternoon and just told the guy we had in to record it and that’s what you hear. S] So was it you alone that worked on that or was that something you came up with Joey [Jordison, lead guitar] and the rest of the band? W13] That was all me. Out of my mind in a dark room with no lights on and just laughing, hysterically. It definitely brings some serious vibes to the record and it was the only track recorded in daylight! Everything else was done after midnight ’till vocals were finished at around four-or-five in the morning but that one came to me and I was just like, ‘roll it, let’s do it’. Because of that, I still remember the day. I think the track really sets a good opening to the record. S] Could you tell us about the writing process for, ‘Nowhere’ and what went into that? – for us, this has potential to become the next Murderdolls anti-anthem. S] So were there any other songs which you had demo’s for before coming back together this year? W13] Everything on the record was pretty much demos that started from 2003 to when we went into the studio this year. Like ‘Nowhere’ and ‘Hello Goodbye Die’ were all from that year. They’re just scattered all over the place. Then you have ‘Drug Me To Hell’ which was probably written in the last six months prior to going into the studio. There are lots of different types of sound from the years and had we’ve time to grow with the songs I guess. S] Did you know that 2010 was the year the Murderdolls would be reforming? W13] Not at all. It’s just like Murderdolls because you never know what the ***k’s going on. We didn’t have any plans, and in 2007 and ’08 me and Joey both had in the back of our heads that this was never ever going to happen again. Fans would ask when the band would get back together, and I’d be like ‘I have no f***ing idea!’. Then, all of a sudden we started talking late last year and then talked to the label management and explained that we wanted to get back in to the studio and they were all for it. Even up until the first day we went into the studio we had all of these ideas and no clue what we was going to come out with. At first we just spent some time trying to reconnect and become good friends again. We had no idea that we would be back in 2010. I’m still shocked the record has come out. It all happened weirdly but for all of the right reasons. Me and Joey couldn’t have made this record a year ago and I’m glad that we have done it at this time. The first record was thrown together, but when we met this time we just wanted to see what happened. S] Tell us about ‘My Dark Place Alone’ – what inspired that, and the video? W13] That song is certainly one of the more personal songs on the record. It’s been a pretty intense few years and it is about stuff I have been feeling for the last five that has been locked up in my brain. I think that comes from when me and Joey were first reconnecting and we would talk. I mean, we really hadn’t seen each other in the last five years and had lost contact and as we were catching up we realised some of that time were like the darkest years in our life. ‘Dark Place‘ was actually the last song we had made for the new record. Joey gave me a rough of it and I wrote the lyrics. We had both been talking about the last few years the whole time that we were in the studio. So, that song is basically about going insane because that’s what it felt like and so that’s why in the video, there’s all the black and it just keeps getting darker and darker. When the label heard the song, they really liked it but asked what we thought should be the treatment for the video? I said, I don’t see anything except us in a room and just black oozing from the walls because I wanted it dark, dark, dark. S] You have worked with Motley Crue’s Mick Mars on this record for a couple of tunes – was there a particularly fun moment for you over the three days he came in? W13] It was really weird, I mean a crazy thing. We didn’t have it planned or anything prior to recording, it was just one of those ideas we had during the process. Our tour manager had worked with Motley Crue and we had mentioned Mick because we had just played one of the songs and I said, ‘this song kinda has a Mars feel to it’, and our manager was like, ‘Why don’t you call him up’. So, he called up Mick who said he was down for doing it and he showed up in two days. I remember him walking into to the house with his top hat on and wearing four-inch platform boots on a Saturday night, and I thought that was just so cool ’cause he had come in to play on the record but he still came in looking like a rockstar. He came and we were all kinds of nervous and so we started telling bad jokes and making each other laugh. After that it was like working with another guy in the band. It was really great to see him come in and work without money or anything. He just did his part. He took his time and if he didn’t like something he would do it again or he would say, ‘Let’s try it again because I want to change this pedal’. It was really cool watching him work because he has always been like the underdog or one of the underrated guys but one of our favourite members of Motley Crue. I mean, he’s the reason I dyed my hair black so to have him on our record was pretty cool. S] A lot of the songs from the first album were re-works of Frankenstein Drag Queens From Planet 13 tracks – how did you enjoy the writing process for this record in contrast? W13] It was something that we said from day one, that we can’t re-record or do anything from the past. We owe it to ourselves, we owe it to our fans. I mean its been eight years since we did a record, we have to bring out some brand new stuff. So that was the most refreshing thing for us because we didn’t really know what to do with those songs. Whereas the first time we knew the songs and had been playing them for years. We just smashed them all together and it was kind of like going on tour but still singing the same songs I had been singing for the past six years. This is brand new so it was exciting creating something that nobody had heard before. So that was the major difference. We know that we are doing something fresh. S] This record is a lot heavier both sonically and lyrically – what personal experiences and ideas influence the flow of the record? W13] I thinks it’s like that song ‘My Dark Place Alone‘, it’s been building up for the last five years. We didn’t go in thinking let’s make a heavy record or go try for a heavier sound, it was nothing like that. It was just our sound in 2010. I know what we sounded like in 2002 but what are we going to sound like this time? And we just started working on different songs and worked out what the subject matter was of the songs. I started drawing from a lot of personal stuff and made it darker and made it have more aggression. I think that’s how the record turned out, just a mean, pi***d off record and I think it’s just all the skeletons which have been in our lives for the past few years. Like the first album was me from out in the sticks in North Carolina, working a day job, and living out my dreams. Our dream show back then could have been playing with Guns N’ Roses to thirty thousand people in Japan. Those few years in a touring band, having money, not having money, going up and down again. Going from the top and then hitting bottom and then having it all taken away, at least that’s what it feels like on my part and I think the attitude on this record is just rife with those ideas. S] So has working on other projects influenced the new sound? W13] I started to write more personal stuff. I know I keep saying that I draw from a lot of personal experiences on this new album, I still think we keep the fun of the Murderdolls in the lyrics. I mean, there’s still the tongue-in-cheek element too. It’s not totally serious but, for the last five years I have been living in hotels and living out of a suitcase and I didn’t want to just write about movies and stuff like that. So I’m just drawing from personal things. I just wanted to create something from my head instead of watching something on TV and writing verbatim. Like the song off the first record, ‘Dawn Of The Dead‘, which we still love and may play live. When writing that song I just watched that movie and wrote down what they said. This time I’m thinking about it, and putting emotion into it, and to me it just comes off sicker and darker than anything I could have done before. S] The Murderdolls’ image (the red and black) is quite distinctive – are you changing and developing that to support the new record? W13] That was something that really caught on, but we’re also the kind of band that doesn’t want to fit into the corner and we don’t like sticking to the ‘rules’. I’m sure there will be some sort of red and black thing but we are trying to rehash it. In fact we have also stayed away a little from it for photos and things like that. I suppose we will see what the audience does. We still have the devils which are red and black. We all have jet black hair now, not the black and red thing. Maybe we’ll do two-or-three shows where we do the red and black thing, which might be kind of cool. You’re never going to see the same look from Joey or I. Throughout these shows we will be changing everything up which makes it more fun for us. We didn’t want to follow the old path of deciding what to wear as a group. Every night we will go into our rooms separately and just see what we look like when we get to stage and see how that turns out. S] Does that rule apply to the set-lists? Are we going to see a different one each night? W13] That’s something we have talked about and it really depends on how much rehearsal time we get. Like, we have already been rehearsing and we have a headlining set of about 18-to-19 songs. Hopefully we’ll learn six-to-seven more songs for the tour. I would like to do that where we switch songs in and out every night. We’re not just going to play the new album, we’ll play a lot of old stuff and it’ll be switching the new songs in and out each night so on one you might hear ‘Nowhere’ and then one night you may hear ‘Drug Me To Hell’. We’re trying to switch it around to keep it fun for us because we plan on being on tour for a long time and we don’t want to burn ourselves out. That way it keeps us excited as well. 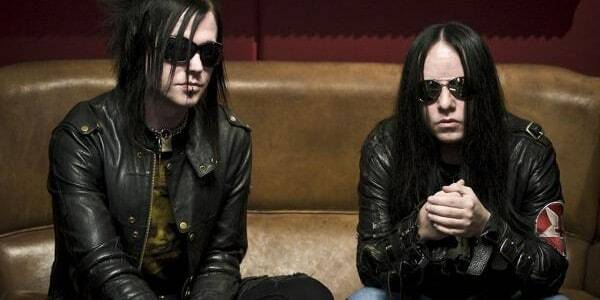 S] How has your opinion of the Murderdolls and the impact the band can have on the world changed since the release of your last record – are your expectations different? W13] As far as expectations go and what it’s going to do, or fan reaction, I honestly don’t know. I mean its has been eight years since our first record and seven years since our last show in the UK. It feels like there is a good strong buzz about it. I don’t even know if a lot of the old fans are still there or if it will be a new fanbase this time. Some of them would have been young then and may have moved on but there may still be some of the old fans there. Expectations, I don’t know. I think it is going to be a whole new audience this time, but as far as us now compared to then, mentally, we’re still out of our minds, we are still going to have fun. I don’t want to use the word more ‘mature’ or ‘grown-up’ but we are more focused this time around. And we have a plan of attack this time as opposed to last time which was, ‘Where’s the bar at’. We just wanted to play and then get drunk, now we’re going to destroy and then get drunk after that! S] You have had some great times in the UK, and you’ve got a great show coming up at Ozzfest – what are some of your fondest memories of being over here? W13] Oh man, some of my favourite shows ever. I’ll never forget the Murderdolls‘ first gig at The Garage, London in 2002 which was pretty insane, that was my first show ever in the UK and it was just a mad-house, it was a tiny back club and it was sold out. It was complete chaos and I’ll never forget that. I’ll never forget our shows at The Forum and us headlining Brixton Academy at the end – that year when we finished in the UK we felt like we had conquered everything. That was a great achievement or a good note to end on. We were on the cover of every magazine and you couldn’t walk down the street without seeing some kid in red and black or with dreadlocks or safety pins in their ties, it was so really cool to see that we had changed some people’s lives. S] It’s a little clichéd but, you have one of the most dedicated underground followings we have seen over the last decade – what would you say to those UK and European fans who have (despite enjoying you other efforts) maintained a love for the Murderdolls? W13] The ones that have stuck around? Those are the real ones. I think they are on the same path as what I have done or what Joey has done. I never stopped working since the Murderdolls went on hiatus working on different projects and they have followed me in every direction I went. There are some really cool people who believe in me that much. This is the record I have poured the most of myself into so, I really hope it gets a good reaction from them. S] How’s it going to be for you playing to the bigger audiences again? W13] I have mainly been doing smaller gigs since the Murderdolls stopped, I did a few festivals in 2005 but they were the last big shows I did. I opened for Hanoi Rocks in Japan a year ago and those were some pretty big shows but nothing like Ozzfest or the Guns N’ Roses shows we will be doing. Hopefully it’ll be re-lighting a fire. I did so much during the last Murderdolls tour – I mean we did six weeks with Iron Maiden around Europe, so I had to learn how to deal with an unruly audience, with no less than 20,000 people a night for six weeks. So I went through the boot camp of how to deal with audiences of that size. Its just like riding a bike, you don’t forget how to deal with that kind of gig. You learn tricks here and there – what you do, what you don’t do. We have some rehearsals and then one warm up show then our first show is in Austria at some festival so by the third show we are already playing in front of 20,000 people. I’ll see what happens and let you know? 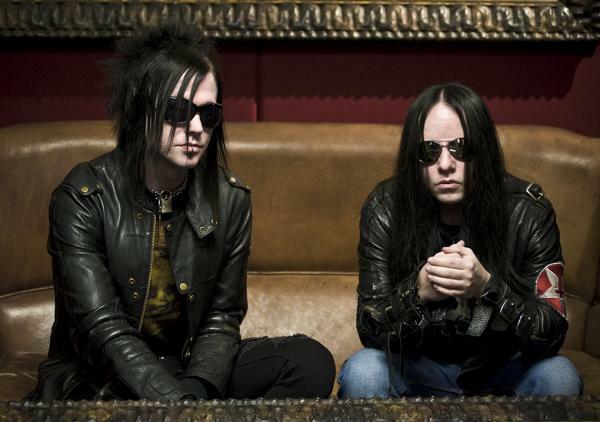 S] Can we expect the Murderdolls to bring their own headlining shows to the UK? W13] Yeah, we are just working out our schedule right now. Our commitments are up ’till Halloween. We do the GNR dates, then Ozzfest and then we come back and do Rob Zombie and Alice Cooper. After that, I’m not sure, but it’s definitely on the cards. There’s no way we ain’t coming back to the UK, I mean that’s like our home, so we have to go back there! Hopefully sooner then later. S] That sounds good to us. OK now your random question – in the event of a zombie outbreak, what weapons would you use to defend yourselves and why? W13] Probably a hammer and a tomahawk because there both about the same weight and easy to move around, and I’ve always wanted to hit someone with a hammer. I’m a big zombie movie fan and I watch a lot of stuff. I was watching ‘Zombieland‘ not too long ago and there was a guy with all of these weapons in the back of his truck, and he just uses his favourite ones like the hedge clippers or whatever he feels like. I think I would be a bit like that, but my first kill would have to be with the hammer or tomahawk.